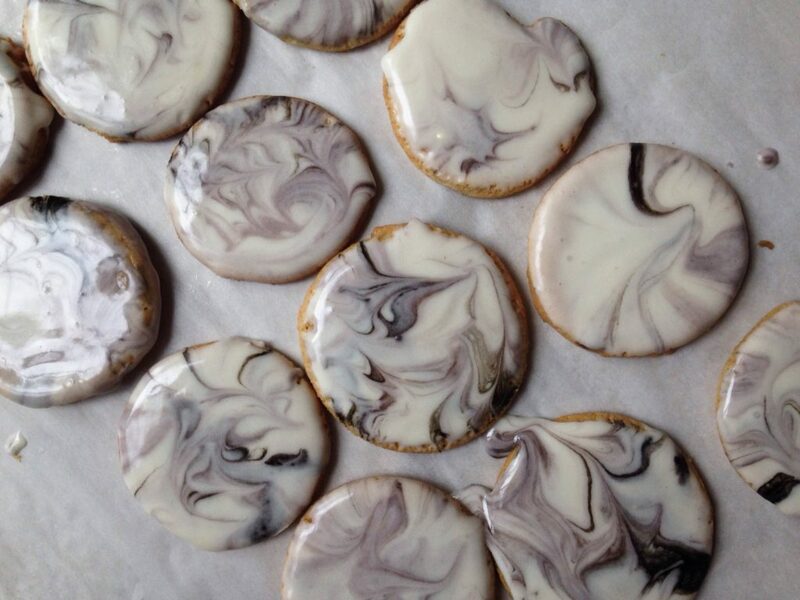 Forget the way you used to decorate cookies. You’re an adult now (kind of). You probably know how to cook something other than boxed pasta. You might have even taken clothes to the laundromat once. You can do better than sprinkles. Here’s how. To create a cookie worthy enough to take up precious space in your camera roll, all you need is a toothpick, icing and food dye. 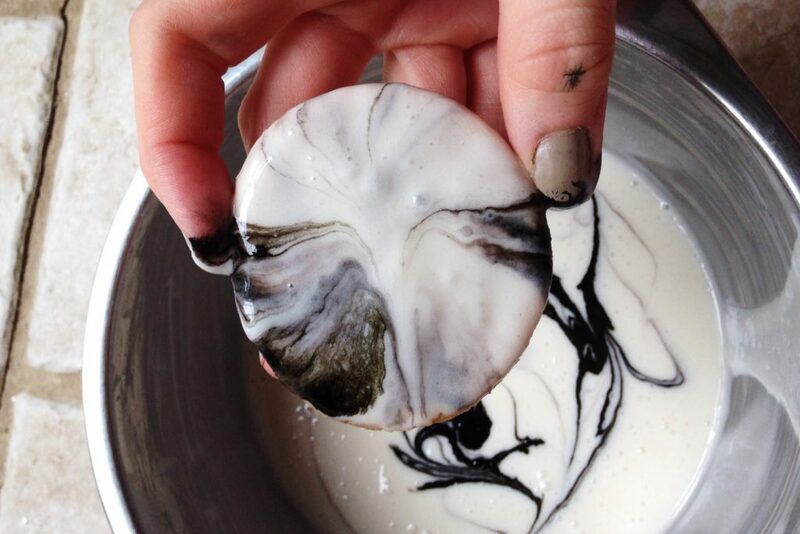 I used black food dye because I like the classic marble look, but you could choose other colors to create a funky tie-dye effect. For the cookie itself, I used a good old-fashioned sugar cookie. You can find the recipe for it here. In hindsight, the icing itself is really sweet so you might want to use a shortbread cookie instead, so it’s not overkill on the sweetness. While my freshly baked cookies cooled, I whipped up a quick and simple royal icing in a medium bowl using egg whites (whipped until they formed soft peaks), confectioner’s sugar, vanilla extract, and a little lemon juice. You can find the exact measurements here, but taste it as you’re going along to figure out how sweet you want it to be. Once that was good to go, I added three drops of the food dye. 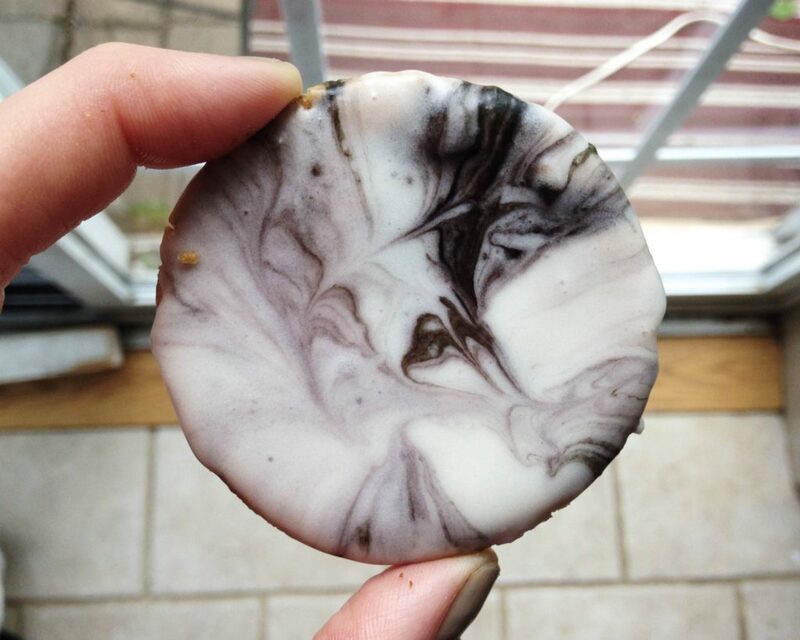 Using skewer sticks (toothpicks will work just fine), I meticulously swirled the food dye so that the black was perfectly proportional to the white. Nah, just give it a good swirl and you’re solid. 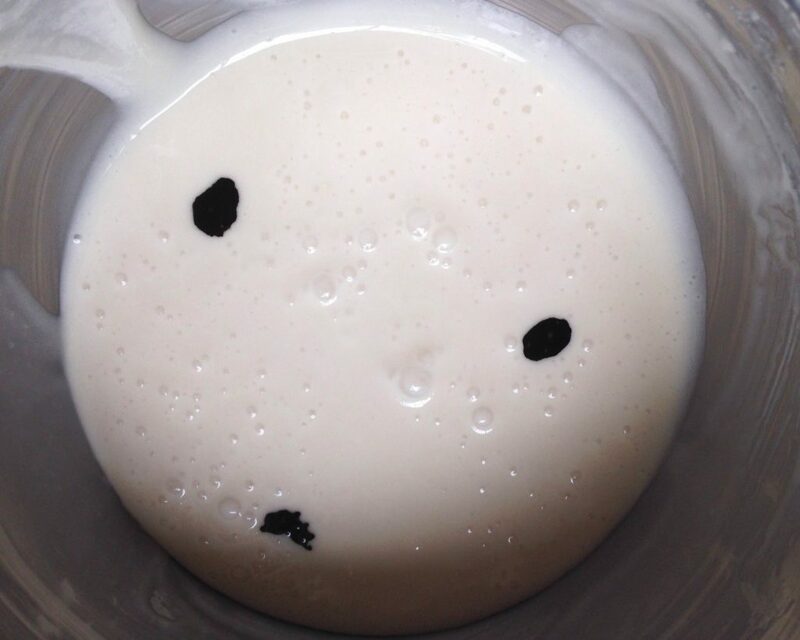 Next, take a cookie and slowly press and turn the surface of it in the icing. Once you pull it out, let the icing drip down enough so that when you flip the cookie over, it won’t pile up on one side. From there, you can use your handy toothpick to drag the icing however you want on the cookie. I’m sure there’s a way to be super artistic here and make beautiful designs, but who has time for that. I got too excited and went at it with no plans, and the cookies still came out looking intricate AF. As a hopeless klutz, this technique is perfect for me because there is literally no way to mess it up. Actually, messing it up is what gives it it’s marbled look. Any way you swirl the food dye will look intentional. Shoutout to these cookies for accepting me for my flaws.